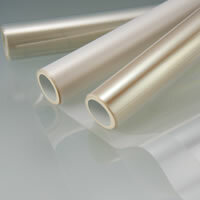 Our functional transfer film products are created using design techniques employing dry and wet coating and make use of the properties of metals, plastics, and other materials. These are transferred to backing sheets made of acrylic and other types of plastic. In this way it is possible to form a surface layer that provides functionality such as abrasion resistance, resistance to soiling, electrical conductivity, ultraviolet blocking properties, non-reflective properties, and resistance to solvents. OIKE transfer technology adds new value to materials and is used in a wide variety of fields. A thin layer of a material such as metals or plastics is applied to create a transfer film product with functional properties such as abrasion resistance or ultraviolet blocking characteristics. 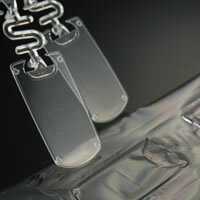 A variety of functions can be added to the general purpose plastic substrate using the transfer process.